Alaska Says Marijuana Regulations Coming on Schedule. Gov. Bill Walker said Tuesday that the state's marijuana regulations will be issued on time. "We have strong, cooperative leadership heading up implementation of this very important act," Governor Walker said. "They assured me that we can meet the statutory and regulatory timelines outlined in the initiative that voters passed in November. I'm confident that we will be diligent in our efforts to make sure we have adequate regulations for this new industry in place and on time." The initiative goes into effect on February 24, 2015. The board has until November 24, 2015 to adopt regulations and anticipates accepting applications for marijuana licenses by February 24, 2016. The board expects the initial industry licenses to be awarded by late May 2016. Colorado AG Says Home Hash Oil Extraction is Illegal Attorney General John Suthers said Tuesday that the state's marijuana legalization law does not allow for the making of hash oil in the home. He said the law "expressly prohibits" such conduct because of the threat it poses to the public. "To decriminalize dangerous and unreasonable behavior in which people are getting hurt and houses are blowing up, defies the intent of the voters," Suthers said in a statement. "Colorado is experiencing a real public safety issue as a result of unsafe and unlicensed manufacturing and production," he added. The state has seen dozens of explosions at homes this year as amateurs attempt to make hash oil using flammable butane. DC's New AG Says Congressional Action Didn't Block DC Legalization. Incoming District of Columbia Attorney General Karl Racine says the congressional rider seeking to block legalization in the District won't do that. "We think Initiative 71 was basically self-enacted, just as the congresswoman does," Racine told The Washington Post, referring to Eleanor Holmes Norton, the District's nonvoting congressional delegate. "We think there's good support for that position, and we're going to support that position." Mississippi Legalization Initiative Approved for Signature Gathering. An initiative sponsored by Legalize Marijuana in Mississippi has been approved by the secretary of state's office, and that means the group will shortly begin signature gathering to qualify for the 2016 ballot. They have until October 2 to come up with 106,165 valid voter signatures. They must get at least 21,233 signatures in each of the state's five electoral districts. Hawaii Medical Marijuana Task Force Recommends Dispensaries. The state's Medical Marijuana Dispensary Task Force has recommended that dispensaries be allowed to make it easier for seriously ill patients to obtain their medicine. The task force is recommending at least one dispensary in each of the four major counties with licensing to begin in January 2017. The state legislative session convenes next month, and lawmakers, including the governor, will have to decide whether to follow through with any, or all, of the recommendations. Medical Marijuana Bills Proposed in Kentucky. There will be at least two such bills in the Bluegrass State in 2015. State Sen. Perry Clark (D-Louisville) has already filed Senate Bill 43, and House Speaker Greg Stumbo (D-Prestonburg) has said he plans to introduce another. Stumbo's bill allows for dispensaries; Clark's bill does not. Wisconsin Governor Wants to Expand Welfare Drug Testing to Include Unemployment. Gov. Scott Walker (R) successfully pushed to get a welfare drug testing law passed during his first term. Now, he wants to expand drug testing to include people seeking unemployment benefits. "It's not about trying to penalize people; it's really trying to say if you want to get ready to work these are the two basic things: employability skills and drug free," he explained. ISIS Publicly Whips Drug Users, Burns Marijuana. The Islamic State in Iraq and Syria (ISIS) has released photos of its members publicly whipping drug users and burning marijuana and cigarettes in the Syrian city of Raqqa. Captions released with the photos said the men were accused of using illegal drugs and were punished in accordance with Sharia law. Republican Senator Says Obama Administration's "Pro-Marijuana" Messages Promote Teen Drug Use. Sen. Charles Grassley (R-IA) suggested Tuesday that the Obama administration's failure to block marijuana legalization had sent kids the message that drug use is okay. "When kids receive the message that marijuana use is acceptable and even welcome, it's no wonder that the perception of harm from marijuana goes down," Grassley said in a statement. "By offering pro-marijuana messages, the president and his top appointees are working at cross purposes with the federal government experts who are trying to stop drug use among teenagers." Grassley was complaining that the annual Monitoring the Future survey of teen drug use showed that kids didn't think pot was as dangerous as they used to. But he seems to have missed the part that showed that teen marijuana is not increasing. Anchorage City Council Kills Move to Ban Pot Sales. A proposal from Anchorage Assembly member and mayoral candidate Amy Demboski to ban recreational marijuana sales in Alaska's largest city went down in ignominious defeat Tuesday night. After four hours of public testimony -- almost unanimously against the measure -- and debate, the measure was killed on a vote of 9-2. Indiana Lawmaker Will Introduce Medical Marijuana Bill. Sen. Karen Tallian (D-Portage) said today she plans to introduce a medical marijuana bill in the upcoming legislative session. She cited Congress's vote to bar the use of Justice Department funds to go after medical marijuana in states where it is legal. In previous sessions, Tallian has introduced pot decriminalization bills, but those have gone nowhere. A Hundred Years of the Harrison Narcotics Tax Act. Today is the 100th anniversary of the Harrison Narcotics Tax Act, generally considered to mark the beginning of America's 20th Century war on drugs. While the act was not directly prohibitionist -- it was a regulatory and taxation measure -- it led almost immediately to the criminalization of both drug-addicted people and the doctors who sought to treat them with maintenance doses of opiates. A hundred years later, we're still mired in the drug war. Senate Approves Yet Another Drug War Bill. The Senate Monday approved Senate Bill 706, the Transnational Drug Trafficking Act, which would give the Justice Department the authority to prosecute people in other countries who manufacture drugs or precursors that they have "reasonable cause to believe… will be unlawfully imported into the United States." It also increases penalties for trafficking in counterfeit drugs. The bill was cosponsored by Sens. Diane Feinstein (D-CA) and Charles Grassley (R-IA). An identical bill, HR 2214, is in the House, but has not moved since May. Citing Death Penalty, Human Rights Groups Urge UN to Quit Funding Counter-Drug Operations in Iran. Six human rights organizations today called on the UN Office on Drugs and Crime (UNODC) to quit funding anti-drug operations in Iran until the Islamic Republic ends the death penalty for drug offenses. The call came in a letter sent to UNODC head Yuri Fedotov. 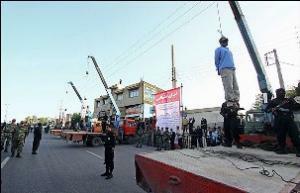 The groups said more than 300 drug traffickers had been executed in Iran so far this year. Signatories to the letter included Human Rights Watch, Reprieve, Iran Human Rights, the World Coalition Against the Death Penalty, Harm Reduction International and the Abdorrahman Boroumand Foundation. French Health Minister Wants to Ban Pot Vaporizers. Health Minister Marisol Touraine said Tuesday she would seek to ban a new e-cigarette than contains marijuana. The move came on the same day a French-Czech company called Kanavape announced its vaporizers were going on sale in France. "I am opposed to such a product being commercialized in France," Touraine said. Such as product would "incite the consumption of cannabis," she added. Kanavape argues its product is legal because its oil contains no THC. Most Dutch-Grown Pot is Exported, Government Report Says. A report from the Dutch government's Research and Documentation Center (WODC) estimates that between 78% and 91% of marijuana grown in the Netherlands is exported. The report is expected to support moves by the Dutch government to crack down on marijuana cultivation instead of moving to regulate it. Texas Bill to Reduce Pot Penalties Filed. State Rep. Joe Moody (D-El Paso) today introduced a bill that would remove the threat of arrest, jail, and a criminal record for small-time marijuana possession. The measure is House Bill 507. "Our current marijuana policy in Texas just isn't working," Rep. Moody said at an Austin press conference. "We need a new approach that allows us to more effectively utilize our limited criminal justice resources. This legislation is a much-needed step in the right direction." The legislation is being backed by Texans for Responsible Marijuana Policy, a coalition that includes the Marijuana Policy Project, the ACLU of Texas, and Republicans Against Marijuana Prohibition. 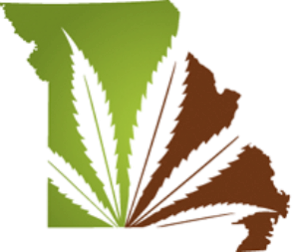 Another, Looser Missouri Legalization Initiative Effort is Underway. Show Me Cannabis has some competition. The marijuana reform group has a legalization initiative pending, but now, there's another, less restrictive initiative also in the works. A team from KC NORML last week submitted a petition to put its own measure on the ballot. The Missouri Cannabis Restoration and Protection Act would remove marijuana from the state's list of controlled substances, free anyone imprisoned for marijuana-only convictions, bar police from charging drivers with DUI if the only drug they test positive for is marijuana, and put no limitation on the number of plants people can grow. Once approved by state officials, the initiative will need 160,000 valid voter signatures -- 8% of registered voters in at least six of the state's eight legislative districts -- to qualify for the ballot. DC Businesses Tell Maryland Congressman Who Tried to Block Legalization to Stay Away. Rep. Andy Harris (R-MD) is not very welcome in the District these days. 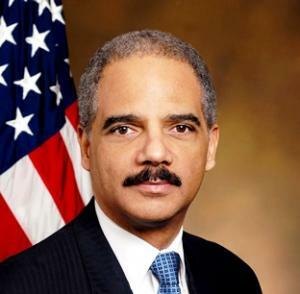 He has been the primary mover behind Republican efforts to block voter-approved legalization in DC. While his rider blocking legalization was included in the recent omnibus spending bill, whether it will actually stop DC legalization remains to be seen. Now, there is a Blacklist Andy Harris movement, and at least one business, has put up a sign displaying his face along with prominent text reading "Not Welcome." Kentucky Omnibus Heroin Bill Increases Sentences, Has Harm Reduction Provisions. Senate Budget Committee Chairman Chris McDaniel has pre-filed a bill, Senate Bill 29, that attempts a broad response to the state's issues with heroin. The bill would allow for increased access to the overdose reversal drug naloxone, create a 911 Good Samaritan provision to try to reduce overdose deaths, and fund drug treatment. It would also increase sentences for some heroin dealing offenses. A similar bill failed to get through the legislature last year. Uruguay Sees First Marijuana Expo. Uruguay is the first country to legalize marijuana commerce, and now it's had its first marijuana trade show. Expocannabis opened in Montevideo over the weekend. With final approval by the Senate Saturday night, the Congress has successfully approved a massive, $1.1 trillion dollar omnibus spending bill, and the president has signaled he will sign it. The bill includes two provisions that illustrate Congress's currently schizophrenic approach to loosening marijuana laws. On the one hand, the bill contains an amendment that will effectively end federal interference in states where medical marijuana is legal by barring the Justice Department from using its funds to go after patients and providers there. On the other hand, it also contains a rider that seeks to undo the will of the voters of the nation's capital by blocking the District of Columbia from enacting the recently approved Measure 71 marijuana possession and cultivation legalization initiative. The amendment is also important. In the past three years alone, the Justice Department has threatened elected officials, dispensary operators, and their landlords with legal action over medical marijuana. Those threats have delayed or stopped implementation of medical marijuana laws in at least six states. Similarly, threats of criminal prosecution and/or asset forfeiture aimed at landlords in California and Colorado have resulted in the closure of at least 600 state law-abiding medical marijuana businesses. And DEA teams have aggressively raided and US Attorneys have prosecuted medical marijuana patients and providers. One stark example is the case of the Kettle Falls Five, a family of patients who were growing medical marijuana for their own personal use in accordance with Washington state law. In a state where marijuana is legal, federal prosecutors are seeking to send a pair of elderly patients and their children to prison. That prosecution is now in doubt. "This is truly a long-fought victory for medical marijuana patients who have lived in fear of being caught in the crossfire of conflicting state and federal laws for nearly two decades," said Steph Sherer, executive director of Americans for Safe Access (ASA), which has lobbied for years for passage of the measure. "But this is also a victory for taxpayers because of the hundreds of millions of dollars saved on unnecessary and harmful enforcement." Last year, ASA issued a report showing the Obama administration had spent $80 million a year on medical marijuana enforcement. That may be chump change in a trillion-dollar spending bill, but it's still $80 million that could be better used each year. "Congress has finally initiated a drawdown in the federal government's war on medical marijuana," said Mason Tvert, director of communications for the Marijuana Policy Project (MPP). "This legislation makes it clear that the DEA has no business interfering in states' medical marijuana laws. Taxpayer money should not be used to punish seriously ill people who use medical marijuana and the caregivers who provide it to them." "For the first time, Congress is letting states set their own medical marijuana and hemp policies, a huge step forward for sensible drug policy," said Bill Piper, director of national affairs for the Drug Policy Alliance (DPA). "States will continue to reform their marijuana laws and Congress will be forced to accommodate them. It's not a question of if, but when, federal marijuana prohibition will be repealed." But if federal marijuana prohibition will someday be repealed, no one has told congressional Republicans, and congressional Democrats didn't seem to care much, either. The second part of Congress's schizoid pot policy two-step was a slap in the face to both marijuana legalization and the will of the voters of the District of Columbia. 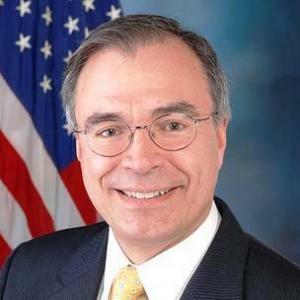 Maryland Rep. Andy Harris (R) authored a rider to the bill that says that the District cannot "enact or carry out any law, rule, or regulation to legalize or otherwise reduce penalties associated with the possession, use, or distribution of any schedule I substance under the Controlled Substances Act (21 U.S.C. 801 et seq.) or any tetrahydrocannabinols derivative." Republican House committee heads got it inserted into the House version of the bill, and Senate Democrats didn't consider it important enough to fight to remove. Marijuana reform proponents (and believers in democratic rule for the residents of DC) were livid, and they are not ready to roll over in the face of congressional attempts to quash legalization in the District. 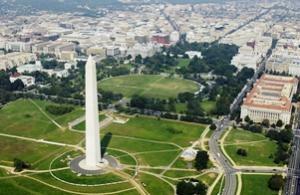 "In light of recent events in Ferguson and New York, it would be particularly disturbing if Congress has chosen to overturn the will of the voters in a majority black city," said Dr. Malik Burnett, DPA policy manager and vice-chair of the DC Cannabis Coalition, the group that got Measure 71 passed. "DC voters chose to reform their marijuana laws, which have a direct impact on how communities of color interact with police. Congress should not undermine that." "By prohibiting the regulation of marijuana in the District, they are ensuring authorities have no control over it," Tvert said. "If drug cartels and gangs had lobbyists on the Hill, preventing marijuana regulation would be their top legislative priority. If the District can regulate and tax alcohol sales, it should be allowed to do the same with a less harmful substance like marijuana." The District city council has been advancing a bill that would tax and regulate marijuana sales, but the Harris rider effectively kills that. Less certain, however, is whether it can really block Measure 71 from taking effect. House Minority Leader Nancy Pelosi; Rep. Eleanor Holmes Horton, the Congressional Delegate from DC. ; Rep. Jose Serrano (D-NY), the ranking member on the House appropriations subcommittee that funds DC; Rep. Nita Lowey (D-NY), the ranking Democrat on the House Appropriations Committee; and others have said that the DC rider allows Initiative 71 to stand. The DC government is blocked from enacting any new marijuana law reforms but it is free to implement and carry out reforms that have already been enacted. The congressional Republicans who pushed the measure naturally disagree. They argue that Measure 71 has not been enacted because the DC council has not yet sent it to Congress and that the rider thus blocks it from being implemented. While the question is likely to end up being settled in the courts, the next move is up to the District city council. It can go ahead and send the measure to Congress despite what the budget bill rider says. Advocates are urging the council to do just that. And the council seems to be in a mood to stick up for the initiative -- and for democratic rights for the District. DC Council Chair Phil Mendelson told The Washington Post even before the final Senate vote that he plans to ignore the rider. He said he will instead follow normal procedure for voter-approved initiatives in a city that exists under the congressional thumb. He will sent a bill implementing the initiative to Congress next month for a 30-day review in which lawmakers can vote it up or down. And if that doesn't work, there's still the courts. "If the question is whether I'd be open to legal action, the answer is yes," Mendelson told Politico after the House vote. Whether Congress has successfully blocked marijuana legalization in DC clearly remains to be seen. What is not in dispute, though, is that Congress has taken a major step toward clearing the way for medical marijuana, and that's a big deal. Obama Thinks Congress Should Not Interfere With DC Pot Laws. As the battle continues over whether Congress has managed or not to block the District of Columbia's Measure 71 legalization initiative, President Obama has weighed in. In a Thursday press conference, White House press secretary Josh Earnest said the president did "not believe Congress should spend a lot of time interfering with the citizens of District of Columbia." Asked specifically about Measure 71, Earnest noted that the measure had been approved by the voters and that, "on principle," that Congress shouldn't interfere with home rule. But Earnest also noted that Obama supports passing the omnibus spending bill that would, some say, overturn the measure. Cannabis Oil Bill Should Be Filed Today in Oklahoma. Rep. John Echols (R-Oklahoma City) has said he plans to file a low-THC cannabis oil bill today. The bill would only allow for use my children suffering from epilepsy. The news comes as the director of the state's drug agency says he now backs a study that would make the medicine available to sick children. Connecticut Public Housing Agency Under Fire for Suspicionless Drug Testing of Applicants. The Norwalk Housing Authority (NHA) requires mandatory, suspicionless drug testing of people applying to live there, and the ACLU of Connecticut is looking for people who want to sue the agency over the issue. "We urge you to repeal this policy because this suspicionless drug testing violates guarantees in the United States and Connecticut constitutions against unreasonable searches and seizures," wrote ACLU staff attorney David McGuire in a December 2013 letter to the Authority. "We would like to hear from any potential tenant who objects to the suspicionless drug test so that we can consider legal action," McGuire said Wednesday. To make matters worse, the NHA is the only housing authority in the country to drug test using hair follicles, which unlike urine or blood samples, can reveal drug use going back weeks or even months. Georgia Judge Convicted of Planting Drugs on Woman. A woman accused a judge of propositioning her when she appeared before him to seek warrants against people who had assaulted her, so he conspired with some local cops to plant methamphetamine in her vehicle and have her arrested. Now, former Magistrate Court Judge Bryant Cochran has been found guilty of conspiracy to distribute a controlled substance, violating the civil rights of a court employee by sexually assaulting her, and witness tampering. 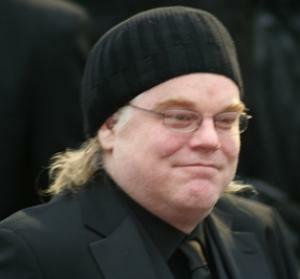 He's looking at almost certain federal prison time when he is sentenced in February. Lawsuit Will Challenge Wisconsin's "Cocaine Mom" Law. A woman who was jailed after admitting past drug use while seeking a pregnancy test and medical help for depression is filing suit to have the state's "cocaine mom" law thrown out. That law allows authorities to detain and force treatment on pregnant women suspected of drug or alcohol use. Tammy Loertscher of Medford is filing the suit with the assistance of National Advocates for Pregnant Women, which says the Wisconsin "fetal protection" law is one of the most sweeping in the nation. Hungary's Prime Minister Wants Drug Tests for Journalists and Politicians. Hungary's rightist prime minister, Viktor Orban, who has vowed to make the country a "non-liberal" state, called today for mandatory drug testing for journalists and politicians. "The government decided that it will rid Hungary of the drug mafia in this term," Orban said. "Politicians, journalists and those filling positions of public trust have to be included (in the drug tests) because it is clear that those who consume drugs cannot be relied on in the fight against drugs." Orban's statement isn't sitting well with journalists and civil libertarians, with the Association of Independent Journalists calling his proposal "legally and morally deeply outrageous." Earlier this week, the mayor Budapest calling for drug testing teens as well, but that proposal appears have been dropped. Just a Reminder: Magic Mushrooms Are Now Illegal in Indonesia.Magic mushrooms had long been excluded from Indonesian drug laws, and were openly sold and used, especially in the popular tourist destination of Bali, but that's no longer the case. They are now considered a Type 1 narcotic since the law was revised earlier this year, and police are on a campaign to let people know. 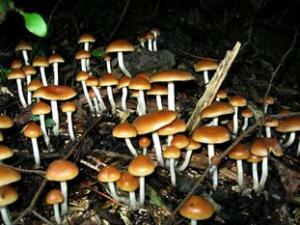 "All people who consume and trade in magic mushrooms are violating the Narcotics Law," Denpasar Police drug section head Comr. I Gede Ganefo said recently. "Many people do not yet know that magic mushrooms are illegal and they could face a prison term if they sell or consume them. They think it is all right as they grow naturally in manure," Ganefo said. Police said the informational campaign will become an enforcement campaign starting January 1. "Next month [Jan. 2015], there will be no more tolerance. If we find any people selling or consuming magic mushrooms, we will arrest them. They could face the same charges as those using marijuana and other drugs, a minimum four-year and maximum 12-year prison term," Ganefo said. DC Legalization Still Alive? Democrats Think So. Despite the language Republicans managed to include in the "CRomnibus" federal spending bill interfering with the District of Columbia's right to set its own marijuana policies, several leading Democrats say that the Initiative 71 marijuana possession and cultivation legalization initiative is still alive. House Minority Leader Nancy Pelosi; Rep. Eleanor Holmes Horton, who represents DC. ; Rep. Jose Serrano (D-NY), the ranking member on the House appropriations subcommittee that funds D.C.; Rep. Nita Lowey (D-NY), the Ranking Democrat on the House Appropriations Committee; and others have said that the D.C. rider allows Initiative 71 to stand. The D.C. government is blocked from enacting any new marijuana law reforms but it is free to implement and carry out reforms that have already been enacted. DC Legalization Still Alive? Republicans Just Say No. While Democrats argue that marijuana legalization was "enacted" by the voters on November 4 and thus will prevail, Republicans beg to differ. They argue that because the initiative has not been transmitted to Congress or passed congressional review, it has not been enacted. "It's pretty clear," said Rep. Andy Harris (R-MD) who led the charge against decriminalizing pot in DC with a rider that was not included in the final bill. "You can't enact anything once the rider's passed. The legalization is not enacted." We probably haven't heard the final word on this just yet. 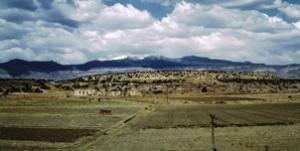 Justice Department Okays Indian Tribes Growing, Selling Marijuana. In new guidance to US Attorneys, the Justice Department is telling them not to prevent tribes from growing or selling marijuana on tribal lands, even in states that have not legalized it. It is unclear how many tribes will take up the offer; while some see pot sales as a source of potential revenue, others are strongly opposed to the use or sale of marijuana on their lands. The Justice Department will generally not attempt to enforce federal marijuana laws on tribes that choose to allow it, as long as they meet eight federal guidelines, including that marijuana not be sold to minors and not be transported to areas that prohibit it. Michigan Welfare Drug Testing Bill Heads to Governor's Desk. A two-bill package that would impose suspicion-based drug testing on some welfare recipients has passed the legislature and now awaits the signature of Gov. Rick Snyder (R). The bills would create a pilot drug testing program to begin by next October. Under the bills, welfare applicants would be screened, and if the screening suggests "reasonable suspicion" they are using drugs, a drug test would be required. Although Republican sponsors said they were concerned about children, Republicans defeated a move to allow an appointed adult to receive funds for children if their parents are disqualified because of drug use. 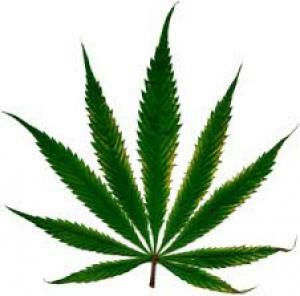 Poll Finds a Majority of Spaniards Say Legalize Weed. Some 52% of Spaniards are ready to legalize marijuana, according to a new poll from the Foundation for Aid Against Drug Addiction. That's well above previous surveys from the same group conducted in 1999 and 2004. "There has been a development around the image of this drug, which could have contributed to an increase of a more cannabis-friendly population," the foundation noted. Despite the language Republicans managed to include in the "CRomnibus" federal spending bill interfering with the District of Columbia's right to set its own marijuana policies, several leading Democrats say that the Initiative 71 marijuana possession and cultivation legalization initiative is still alive. A close reading of the relevant language in the bill shows that while it would block the District council from enacting a pending bill to tax and regulate marijuana, it would not undo DC's decriminalization law that is already on the books. The language around Initiative 71 is less clear, but Democrats involved with the negotiations say it is clear that the legislative intent of the rider in question was to allow both decriminalization and Initiative 71 to stand. "Initiative 71 was enacted on November 4th when 70% of DC voters approved it, said Bill Piper, director of national affairs for the Drug Policy Alliance. "Voters wanted to reduce racial disparities in the criminal justice system and focus police resources on serious and violent crime. The will of the people should stand. While Initiative 71 won't take effect until after the Council transmits it to Congress in January and it goes through an administrative 30-day review period, it has very clearly already been enacted by the voters." The Drug Policy Alliance is urging the DC city council to transmit Initiative 71 to Congress as soon as it convenes in January. State-level marijuana law reform won big in this month's elections, with legalization initiatives triumphing convincingly in Alaska, Oregon, and Washington, DC. The Florida medical marijuana initiative lost, but only because it had a higher bar of 60% of the popular vote. It ended up with 57%, a clear sign of solid majority support. And don't forget Guam -- the US territory approved medical marijuana with 56% of the vote. Local marijuana reform initiatives also fared well. In Maine, Massachusetts, and Michigan, activists built on earlier successes to win more victories this year, while in New Mexico, voters in Albuquerque and Santa Fe voted in favor of decriminalizing pot possession. All in all, a good year for marijuana law reform, the second good election year in a row. Since 2012, voters in four states and DC have been asked to legalize marijuana. They've now said yes in all of them. And now, eyes to turn to 2016 and beyond. There are excellent prospects for more victories in the West, as well as in the Northeast. And there could be some surprises lurking out there in the middle of the country. California, of course, is the big prize, and efforts are already well underway to ensure that legalization is on the ballot in 2016 -- and that it actually wins this time. Arizona and Nevada are also on the radar, and the Nevada initiative campaign has already turned in twice the number of signatures needed to make the 2016 ballot. In the Northeast, both Maine and Massachusetts are initiative states, and legalization appears headed for the ballot in both. In Rhode Island and Vermont, the push will come in the state legislatures. "Things are clearly headed in the right direction," said Marijuana Policy Project (MPP) communications director Mason Tvert, scanning the post-election terrain. "Even in a midterm where we saw large Republican gains, we also saw large gains for marijuana policy reform. A lot of people would say the turnout was smaller and more conservative, yet we still saw strong majorities approving measures making marijuana legal in various states and cities." MPP will be backing 2016 initiatives in five states, Tvert said, although the Nevada legislature could ease its burden by just approving an initiative rather than punting to the voters. "In Nevada, the petition drive has just wrapped up. At this point, our goal there is to pass the ballot initiative; if the legislature chooses to take an objective look and give it some real consideration, that would be excellent, too," he said. "We also have committees filed to support initiatives in Arizona, California, Maine, and Massachusetts," Tvert said. "In California, we want to begin to raise money to support that effort, but it's pretty early in the process. We expect to see very solid support for such a measure in California, especially running in a presidential election year when support for legalizing marijuana has been growing nationwide. Prop 19 got 47% in 2010; that will be six years ago come 2016." "We have a pretty comprehensive statewide coalition working on this," said Dale Gieringer, executive director of California NORML, which is a key part of that grouping, the California Coalition for Cannabis Policy Reform. "The coalition includes us, the Prop 19 people, Law Enforcement Against Prohibition, MPP, the Emerald Growers Association, and the Drug Policy Alliance (DPA) has been a partner in this, too." A little less than two years out, it's a work in progress, said Gieringer. "Pretty much all the leading groups interested in drug reform are interested in collaborating, but exactly how that will work hasn't been settled yet," he said. Now that four states and the District of Columbia have legalized marijuana, Gieringer sees some political space for pushing the envelope. "Home cultivation will be in it," he said. "They have that in Oregon and Colorado, and we're going to have it in California. I also want to provide for on-site consumption; we're working to get that instituted here in Oakland. In Colorado, they banned public use, which is one thing if you mean smoking pot on the street, but governments tend to have an expansive view of what constitutes public use, like a public accommodation under the Civil Rights Act. I think we can provide for licensed on-site consumption, at least by local option." And no reason to make what he called "unnecessary concessions." "We have a DUID law, and we don't need to change that," he said. "They didn't do that in Colorado and Oregon, and we don't need to do it. We learned a lesson in Washington -- that lack of an express DUID provision didn't make a difference -- and we're not going to repeat that." Although more than any other group in the coalition, CANORML represents the interests of marijuana consumers, Gieringer said it's not pot smokers or growers who are going to make an initiative victorious. Maybe Missouri's Show Me Cannabis will show us all. "Marijuana users are 12% to 15% of the population here; we really have to depend on more than that," he said. "The users and growers will not determine this campaign. And I'm sure there will be people discontented with however the initiative turns out; there always are. But there aren't that many growers in the state, anyhow. Some growers didn't like Prop 19, but it failed for other reasons. It didn't win in Los Angeles County, and that's not because of the growers." In some states, such as Massachusetts, activists have been piling up marijuana reform victories for years. MassCANN/NORML and the Drug Policy Forum of Massachusetts have an unbroken record of winning non-binding public policy questions on marijuana reform issues going back seven election cycles. Voters in the Bay State have also signaled their approval of marijuana law reform by passing statewide medical marijuana (2008) and decriminalization initiatives (2012). Now, Bay State Repeal has formed to free the weed in 2016, and it has a pot populist tinge to it. The group wants home cultivation, not just to keep prices down, but "to keep the cops from busting through the door just because there is marijuana growing there" and it wants taxation and regulation, but only "moderate," not "cash-cow taxation or giant licensing fees." In Maine, where MPP has been active, putting successful municipal legalization initiatives on the ballot in Portland and South Portland (but losing one in Lewiston), there could be not one but two legalization initiatives unless differing actors come together. In addition to the MPP effort, a new group, Legalize Maine, is also moving forward with plans for an initiative. As with Bay State Repeal, there is a pot populist tinge. Legalize Maine couches its argument not only in terms of justice and common sense, but also talks about jobs and economic development. And it wants marijuana regulated in a way that "focuses on people instead of large economic interests that seeks to dominate the marijuana industry." Legalization could also pop up in some unexpected places, too. While the major movement organizations already have selected targets for 2016 and have plans well afoot, things could break faster than the big players anticipate, and local activists in some states -- Arkansas and Missouri, for example -- may manage to get initiatives on the ballot without significant outside support. In Missouri, Show Me Cannabis has been undertaking a vigorous and energetic campaign to put an initiative on the ballot in 2016. It submitted its initiative to state officials earlier this month; the first step in getting the measure before the voters. Similar efforts by different groups are also underway next door in Arkansas. Those Ozark-area efforts don't have the backing of big national organization behind them, but that could change. 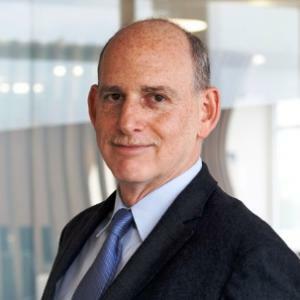 "If these initiatives are well-drafted and the polling is strong, we'll help as best we can, but we're not making any financial commitments," said DPA executive director Ethan Nadelmann. "We have a major commitment in California, and we're helping MPP draft initiatives in other states. In Missouri, let's make sure there's a solid draft initiative, and if the polling is there, well, a victory in Missouri would be very compelling." Seeing marijuana legalization creep along the West Coast, make inroads on the East Coast, and maybe even in the Ozarks would make for a very impressive 2016, but some Midwestern activists are looking further down the road. Led by indefatigable Tim Beck, Michigan activists have managed to pass municipal personal legalization initiatives in all the state's largest cities in the past few years. This year, they went eight for 13 with similar initiatives in smaller Michigan communities. Michigan voters also approved marijuana in a statewide initiative in 2008, but, for Beck, getting the state's dispensary situation settled -- not legalization -- is the first order of business. "Although the state legislature is totally controlled by the GOP, we've been working with them, and they've kind of seen the light on a regulated system with a lot of local control, which is big with Republicans," he said. "We have one of the best medical marijuana laws in the country, and it's going to get better with a regulated dispensary system, as well as ingestibles. We won 95-14 in the House, and it's going through the Senate now," he said. "We have over 1.5 million people now living in cities that have decriminalized," Beck said. "And we liberated 140,000 this year -- on the cheap. This has an impact. When we have dispensaries and when we have decriminalization, local officials won't be able to say 'Oh, we don't want marijuana here,' because the voters do." Legalization may not be the first order of business, but it is the ultimate goal, Beck said. "My philosophy has never been that the solution is medical, but straight-out, unadorned legalization, but we're -having to do it on our own," he explained. "Michigan is fly-over country for the big players. It's a large state with a population of more than 10 million, so it's expensive to win a campaign, and it's a bit more conservative than the East or West coasts." That means Michigan needs to be patient. "Our realistic priority for the next couple of years is to work with the legislature," Beck said. "We have a new class of entrepreneurs who have come out of the closet, and we've been able to fund our own lobbyist to the tune of about $150,000. Once we get dispensaries, then we'll turn to decriminalization at the statehouse. We had a decriminalization bill this year, but it was introduced by a Democrat and went nowhere." Beck is also waiting for the opinion polls to move further in the right direction. "There's a weird dichotomy in our polling," the veteran activist explained. "We get well over 60% saying yes to reallocating police resources away from small-time marijuana users, but when it comes to legalization, that number drops dramatically. We might be at 50%; we'll do another poll at year's end, but I don't think much will change. It's hard to demand that anyone open their checkbook when you're only running 50%. We have to just keep going on an incremental basis. Maybe by 2018 or 2020, we'll be ready." While Beck counsels patience, Nadelmann is counseling prudence. And while he is of course happy that all the legalization initiatives passed, he doesn't want people to think it's going to be a walk in the park from here on in. "The downside is a sense of overconfidence, a feeling that marijuana will legalize itself," he said. "That could make it more difficult to fundraise if there's a sense that you can put anything on the ballot and not anticipate serious opposition. There could be a sense in the industry that you can be free riders while the activists raise the money." There are other potential pitfalls. Entrepreneurs trying to push the envelope could push too far, Nadelmann said. "Don't forget the Montana disaster," he warned, referring the wide open medical marijuana expansion there that created a backlash that drove the industry back into the ground. "Don't be short-sighted and greedy, and contribute and support the organizations working on this." And don't forget federal pot prohibition. But if repealing federal pot prohibition is the Holy Grail, reformers still have a ways to go. "A lot more states are going to have to approve this before it gets to the point where repeal can pass," said Nadelmann. "When you look at medical marijuana and how slowly that moves on Capitol Hill, you see that it wasn't until this year that we actually got something passed, and that was just to stop federal interference in medical marijuana states. I'm more optimistic about winning votes like that next year, to get the federal government out of the way." Congress has not been especially responsive to growing support for marijuana legalization, and there's no reason to expect that to change anytime soon, Nadelmann said. "It's hard to imagine Congress playing any sort of leadership role on this stuff," he explained. Maybe when we have 24 legal marijuana states, not just four of them. That means there's still plenty of work to be done at the state house and the ballot box.